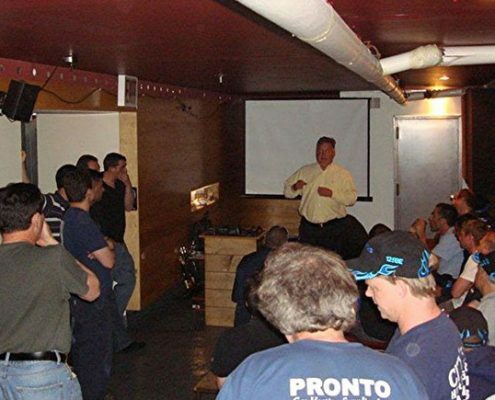 Pronto Gas Heating Supplies offers professional training classes. Free in-house training classes – Pronto Giving Back. 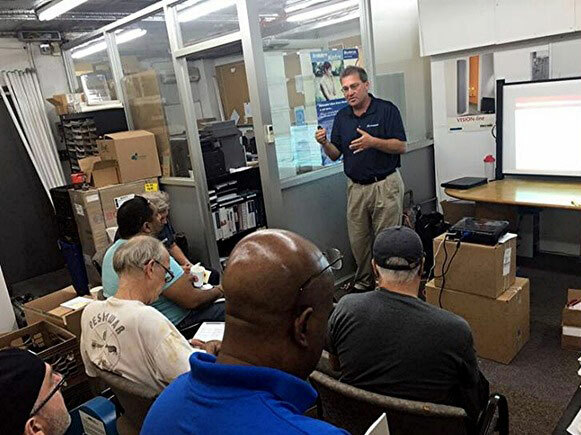 Throughout the year, Pronto offers free in-house training classes, on a variety of subjects and products. Some of our previous sessions are listed here. New training opportunities are often linked to new product releases, so if you are interested in a particular manufacturer or specific model, please check our website for updated information, or contact us with your suggestions or ideas about a potential class topic. Wall-Mounted Boilers: Learn Efficient, Effective Ways of Installing and Maintaining. Our “Principles of Backflow Prevention Devices” training class presented by “Mr. Backflow” Rick Clemente. Review the selection, installation and trouble-shooting techniques for both double-check and RPZ devices. Safety Training: How to evaluate your overall Emergency Preparedness and improve basic protection capabilities, personal safety and advanced environmental monitoring solutions. Dunkirk Boilers New Product Introduction: Learn about new gas-fired wall hung modulating hot water boilers. Grundfos: “Basic Pumping 101 & New Product Overview” training class. Heat-Timer: An Overview of the Platinum Control Series, Electronic Tempering Valve Controls and New Wireless Network Sensor Systems. Honeywell: Introduction to New Products, featuring water heater controls, the TheraPro Electronic Radiator Controller, and the Lyric Round W-Fi Thermostat. Rinnai: Learn about New Direct Vent Instantaneous Hot Water Heaters & Direct Vent Hot Air Console units. Samsung: Review of New Air-Conditioning model innovations, including compressor protection and advanced controllers. Testo: New Product Training, highlighting new devices that integrate with Testo applications for your smartphone. 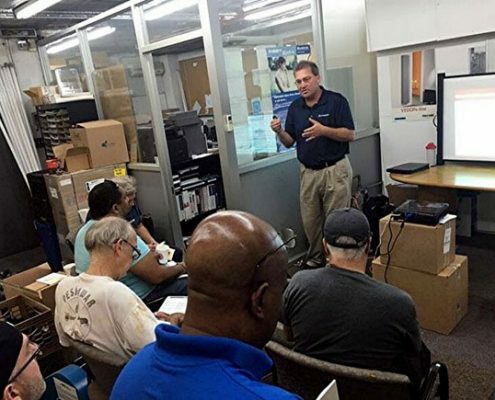 Watts: “Basics of Water Filtration Systems” training session. Interested? Please be sure to sign up for our E-mail newsletter and be notified of upcoming class schedules.